We want to know what our breeders and exhibitors think is important about both the regional awards banquet (yearly) and the CFA Annual Meeting and Banquet (yearly; our region is hosting in 2018). Let us know YOUR thoughts! Both surveys are anonymous. The December Southern Region newsletter is now available here. Remember that you can always sign up for the newsletter here. The CFA Southern Region currently has two BIG fundraisers – and one you can’t lose on! has been extended and the TWO winning tickets will now be drawn at the Cotton States show on Sunday, November 5th. Hurricanes Irma and Jose played havoc with shows in September, and we wanted folks to still have the opportunity to purchase tickets. We are selling ONLY 1000 tickets – so the odds are in your favor! 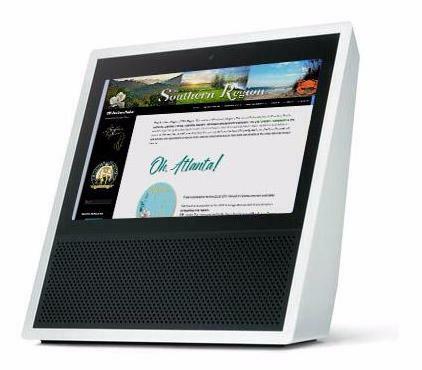 Part monitor, part internet device, the Echo Show is like Alexa with a screen. Read all about this new device here. And for just a $2 ticket, one of TWO of these devices could be yours! 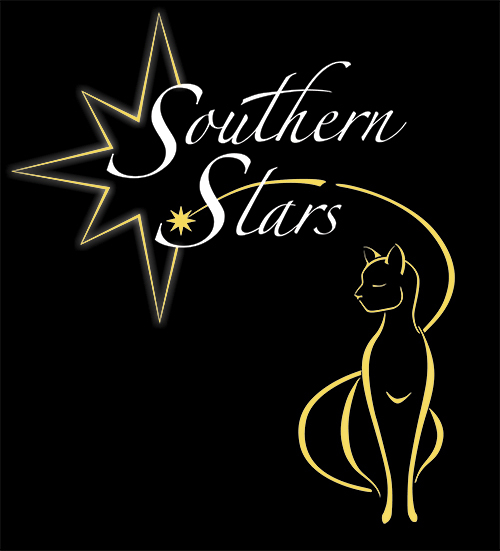 Contact Karen Boyce for YOUR ticket, or see her at the Cat Club of the Palm Beaches or Cotton States show. All checks must be received by Nov. 1. 2. 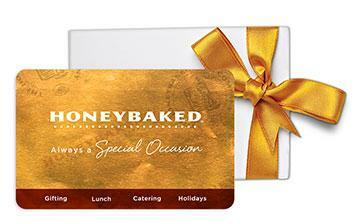 HoneyBaked Ham Gift Cards. You can’t loose on this deal! You purchase a HoneyBaked Ham gift card via the Southern Region’s fundraising link. You get a gift card and the region gets a portion of the purchase to use for the 2018 Annual. You spend $50, you get $50 worth of HoneyBaked Ham goodness! And they have more than ham. Turkey, pot roast, sandwiches, cheesecake..mmmm….cheesecake! Here’s a list of just what your gift card could buy. And just think of what you can use those gift cards for! Holidays are coming – you’ll need presents for friends, family, pet sitters, veterinarians…. Raffle table! Everyone loves to try to get great gift cards on a raffle table! Yourself! Think about purchasing a gift card for something that you will be getting anyways. You lose nothing and the Region gains a percentage! It’s two ways that you can win big and help support the 2018 Annual. Folks have questions about the Annual – and we want to provide you with answers! From “who runs an Annual?” to “so what is there to do?” we want to give you the best answers for the 2018 CFA Annual in Atlanta. Please submit questions that you might have to Annual Chairperson Jo Ann Miksa-Blackwell. We may combine some questions, or expand beyond the scope of the question to give some clarity on the situation. This Q&A is currently limited to the annual event and may expand to our Regional Awards Banquet and associated show. Watch for more details as they develop. Q. How did we end up in Atlanta (or Chicago, or Las Vegas…)? A. A lot of people think that the region gets to choose where the CFA Annual is located. In reality, CFA Central Office (with the assistance of Pat Zollman of HelmsBrisco – a professional meeting and event site procurement agency) select both the city and the venue. This is because an event this big has a LOT of requirements in regards to meeting spaces and sizes, catering, banquet/meeting room, and such. No region could really be expected to know this information nor negotiate with the property. While the region may make suggestions in regards to venues, Central Office actually does the site visitations, evaluates the venues, and makes the final selections.